Great staff and great service! Are you looking for a new vehicle? Perhaps your lease is coming up and you’re in the market to investigate which new VW vehicle you should get into next. Whether your plan is to lease, finance, or trade in your current vehicle, Saint John Volkswagen will help you find the new vehicle best suited for your needs. Find us at 407 Rothesay Avenue! View our new line up online and start your research right. Your ideal Saint John Volkswagen is in our new line up and waits to be unwrapped in Saint John and NB. Arrange your test drive in Saint John today, or come in to see our latest Tiguans, Jettas, and Golfs in person. 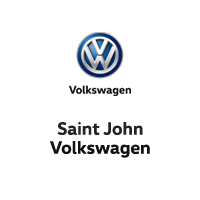 If you are interested in NB pre-owned vehicles, make sure you check out Saint John Volkswagen’s pre-owned inventory. If you see a car you like, stop in to Saint John Volkswagen’s new facility and a member of the Saint John Volkswagen team will gladly assist you! Saint John Volkswagen knows you work hard for your money; our staff will make sure you get only the best Volkswagen products & services for your dollar by employing only top industry leaders to serve your Volkswagen needs! Our friendly Saint John Volkswagen Team is here to support you! Regardless of if you are in the market for Volkswagen Service, VW Parts, VW Accessories, or VW Sales why not set up your VW Service Appointment now and get the process started today? We can’t wait to meet you. Saint John Volkswagen serves as your NB Volkswagen Dealer and is focused on ensuring all customers receive a premium Volkswagen experience. New Volkswagen vehicles offer the best that German engineering has to offer. With our New Vehicle Specials, you can have luxury at a reasonable price. Finance a new Volkswagen vehicle at a low rate, or lease a VW at incredibly affordable rates that you won’t believe. Every month we have new fantastic VW deals for you to choose from. Contact our Saint John sales department to learn more about the Volkswagen New Vehicle Specials you won’t want to miss out on! Saint John Volkswagen Parts department offers all the Volkswagen accessories that you may want to personalize your new Volkswagen in NB. Genuine VW accessories are designed to fit your new Volkswagen with precision and offer the protection or personal touch you may be looking for. Take some time to browse our NB VW Tire Specials and contact our Volkswagen Parts Department. Maybe a new Volkswagen or a used Volkswagen is not on the agenda. Saint John Volkswagen offers an authorized Volkswagen Service Facility. Our VW Service department offers certified Volkswagen technician to carry out all your Volkswagen Maintenance needs. If it is routine VW maintenance or you need a VW repair facility our Saint John Volkswagen Service department will be happy to be your choice for VW maintenance or Volkswagen repair. Any of these repairs will be carried out with Genuine Volkswagen Parts. Browse our VW Service Specials in NB or contact our Volkswagen Service Department. With proper care you can extend your Volkswagen’s life and improve its resale value in NB. Our Factory Recommended Maintenance Timeline allows Volkswagen Owners to find out exactly what their vehicle needs, when it needs it. It also allows potential buyers to find out what maintenance has to be performed on a Volkswagen to ensure its optimum performance, reliability and fuel efficiency. Our service and parts prices, as well as our labor rates are very competitive.